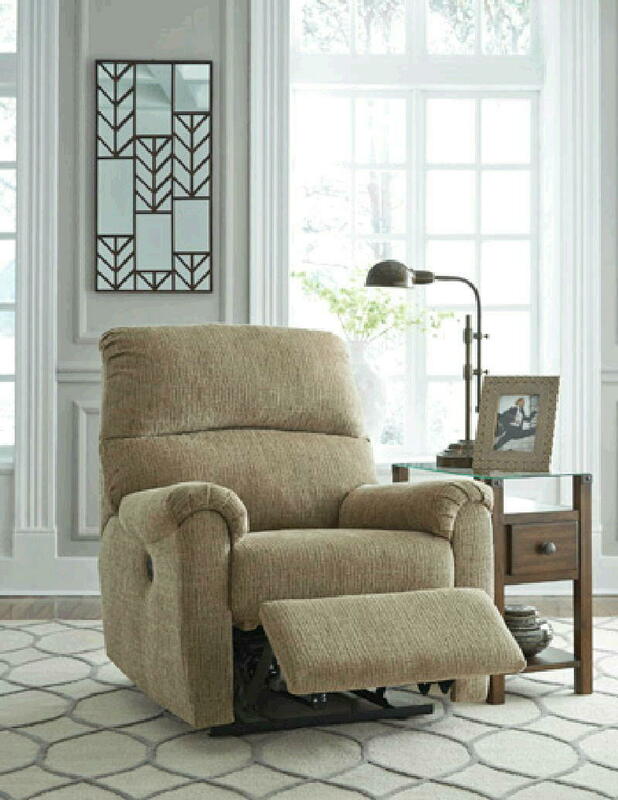 If you've got a penchant for simple, contemporary beauty, the McTeer power recliner has your name written all over it. One-touch power control means any position is yours, whether fully reclined or sitting upright. The pillow top arms and back cushion surround your body in luxurious, plush chenille that irresistible to the touch. Mocha colored upholstery makes it easy to match with other modern decor for a fashionable and comfortable space.